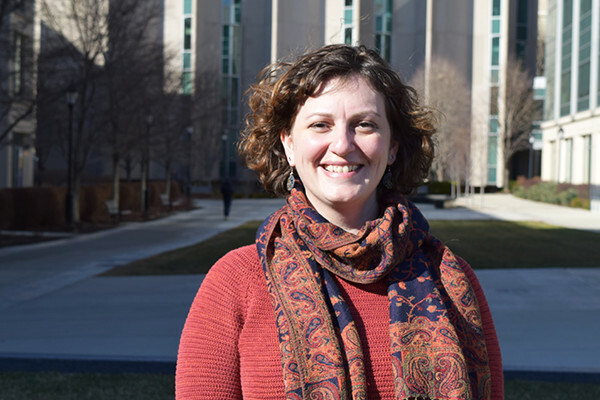 She also was one of two recipients of the AERA Division L Outstanding Dissertation Award, which highlights exceptional research in educational policy and politics. Seelig spent a year living in a rural manufacturing town of about 1,500 in northern Wisconsin, which she called Forest Lake. As she collected data, she volunteered at a food pantry, joined school outreach programs, attended county board and city council meetings, and interviewed scores of residents. Seelig used the idea that “schools are nested in communities and communities are nested in schools” as a framework for her research. She traced how educational policy and community development overlap, providing an unusually in-depth and distinctly rural perspective to the complicated relationship between residents and their institutions. “The policies that lead to the problems in urban and rural districts are the same, but we can’t use the same solutions because the contexts are different,” Seelig said. Her work ultimately turned into a case study that expands what we know about how “rural communities experience the ebb and flow of global economic relations,” Seelig wrote in her dissertation summary. “Told through the tale of a rural manufacturing town – the boom and bust cycle of American capitalism, the brain-drain of rural youth, and the debate over the future of a community on the brink of obsolescence – my dissertation offers a unique perspective on an idealized past and the uncertain future not only in Forest Lake, but in communities across the nation,” she wrote. Seelig, who worked as a teacher in both urban and rural schools, received her doctorate in educational policy studies from the University of Wisconsin-Madison. She received her master’s in cultural studies and her undergraduate degree in education from Ohio University.